Zach White-Stellato ’11, ’12W (MS) arrived in the South Bronx at the New Visions Advanced Math & Science II High School in 2012 fresh from the Warner School. He had a friend who already worked in the New Visions charter school network and spoke positively about it. 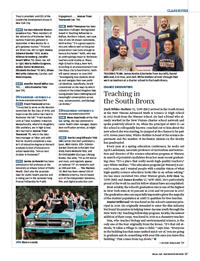 So, when the principal of AMS II—as the school is colloquially known—reached out to him about the new school she was starting, he jumped at the chance to be part of it. 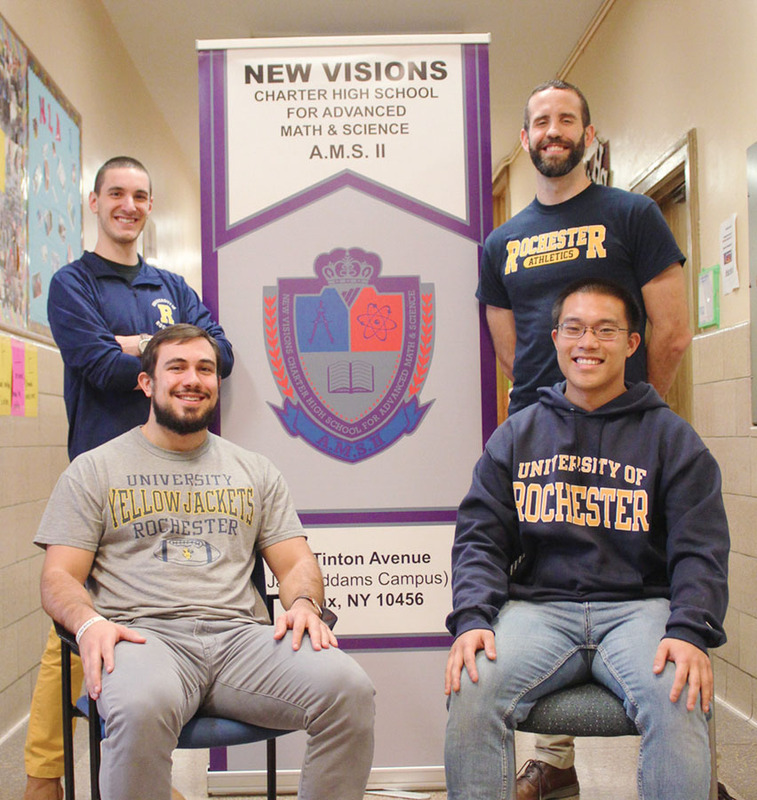 Seven years later, White-Stellato is head of the science department and the number of Rochester alumni on the faculty has quadrupled. Every year at a spring education conference, he seeks out April Leuhmann, associate professor of curriculum and instruction and director of the science education program at Warner, in search of potential candidates from her most recent graduating class. “It’s a place that really needs high-quality teachers,” says White-Stellato. “The education program [at Warner] is second to none, and I wanted people with a similar vision of what high-quality science education looks like in an urban setting.” He has since recruited two other Warner grads, Eric Han ’14, ’15W (MS) and James Kostka ’17, ’18W (MS). He’s particularly proud of the work he and his fellow alumni have accomplished. Most notably, the school’s graduation rate is one of the highest in New York state at 93 percent in 2018 and 98 percent in 2017. The graduation rates are especially impressive given the majority of the student population at AMS II qualifies for free lunches. Daniel Milbrand ’08 was hired as the school’s assistant principal in 2018. He originally intended to enter the film industry but found his passion in helping lower-income youth through the New York City Teaching Fellowship program. Kostka, the newest addition of their corps, was hired in 2018 as a chemistry teacher.